San Clemente was originally a desolate coastal area uninhabited until the construction of the Mission San Juan Capistrano in 1776. In modern times San Clemente earned a rightful reputation as a surfer’s paradise with strong swells all year long. Since then it has become Southern California’s low-key tourist destination and is now home to some of the state’s most rich and famous individuals. But these aren’t your typical Hollywood A-Listers. Some of San Clemente’s most notable residents include Carl Karcher (founder of Carl’s Jr.), Ryan Sheckler (skateboarding legend), and President Nixon’s daughter Jennie. But there’s more to do in San Clemente than simply sit on the beach and catch some sun. With miles and miles of sandy beaches, San Clemente is every beach bum and bunny’s dream. No matter your interests (water sports to sunbathing) you can find a secluded spot or a crowded cluster pretty much anywhere along San Clemente’s shoreline. 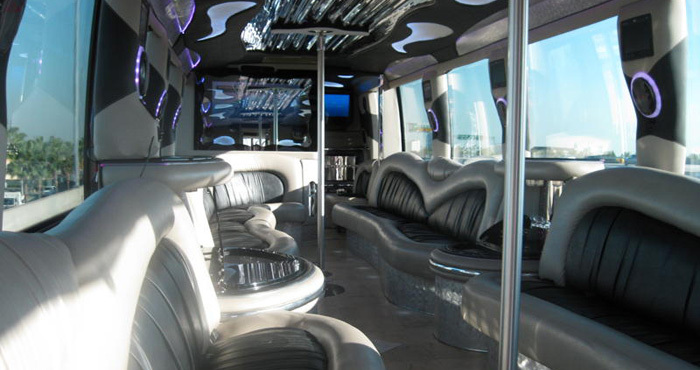 And while you might not think a party bus in San Clemente would be the perfect transportation for a family or school function at the beach, think again. How else can you and up to 44 of your friends and family travel in air-conditioned comfort to the beach? 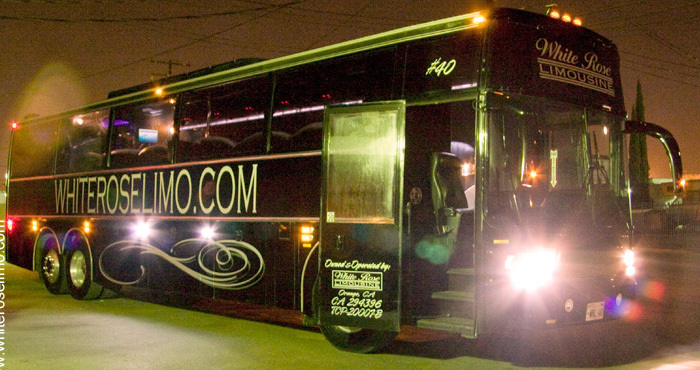 Our professional drivers let you and your corporate group, family group, or school group travel in luxurious style without having to deal with traffic, parking, or tolls. 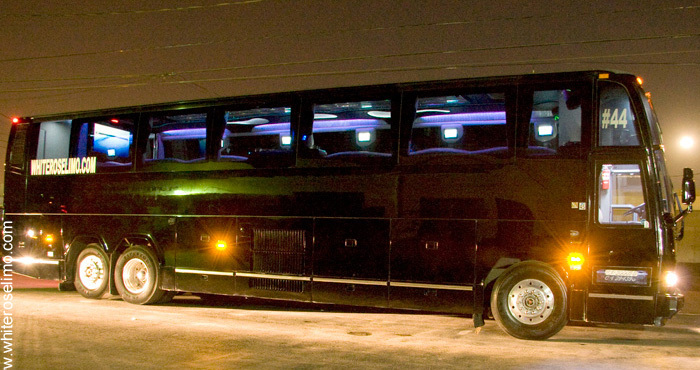 And our buses come equipped with complimentary wet bars that can be stocked with adult or non-alcoholic beverages depending on your needs! Fresh sea air, gorgeous Coral Trees swaying, sun-splashed Spanish Colonial themed architecture—it’s not a vacation getaway, it’s the Outlets at San Clemente—Orange County’s first coastal shopping center of its kind. This shopping destination is truly a unique experience—worthy of a party bus in San Clemente. If you and your girlfriends or family members fancy a day of shopping and fun, find it here. Dozens of outlets with amazing deals all in a Spanish beach boardwalk themed setting that’s just steps from the sandy shore! Make a day of it! 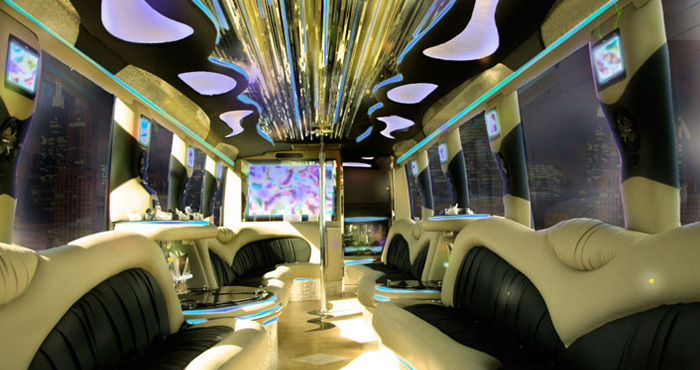 Let White Rose Limo’s party bus’s complimentary cocktail bar and air conditioning put you in the shopping mood. Looking for that perfect family-friendly excursion? Need a corporate team building event that doesn’t bore your employees to tears? Whale watching and sport fishing excursions out of San Clemente offer fun, sun, and excitement along the California coast. 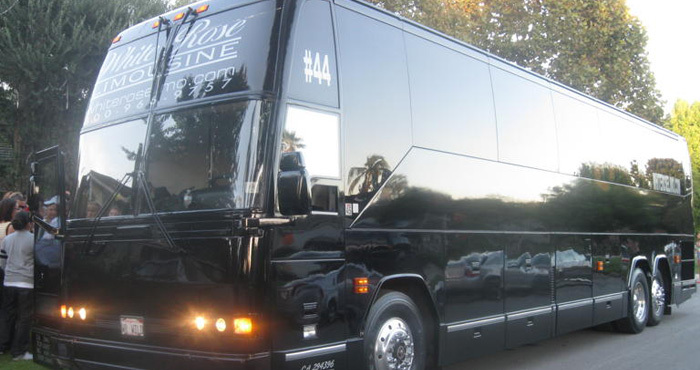 Plus, when you hire a White Rose Party bus in San Clemente you get luxury travel accommodations for up to 44 people*! Enjoy leather seats, air conditioning, a complimentary cocktail bar, music and eliminate the hassles of arranging travel. Artifex is one of the most unique craft breweries in Southern California. It’s an excellent stop on any personalized brewery tour or a destination in and of itself. With exceptional brews like the Bog Trotter Irish Red, Show Me Your Roots Blonde Ale, and Sober in the Morning Double IPA there’s something here for every beer aficionado. Plus Artifex Brewery in San Clemente schedules food trucks so you can enjoy a varied and ever-changing array of snacks and small plates with your favorite new beer. Looking for a new beer to savor with an undeniable California flavor? The Left Coast Brewing Company offers unique California twists on traditional brew styles with amazing results. In fact, this little brewery has won over 23 awards and has rapidly expanded into 25 states and 7 countries! The Hop Juice Double IPA, Asylum Belgian Tripel, and the Una Mas Amber Lager are standouts amid their full time offerings but look for specials like the Orange County IPA. The Tap Room at Left Coast features traditional pub entertainment like trivia quizzes and live entertainment but also unique California offerings like the Bend and Brewery Yoga Series. San Clemente is home to some of the best bars in southern California—as you would expect from a touristy seaside destination. Inspired watering holes like Big Helyn’s Saloon, Molly Bloom’s Irish Bar, Outrigger, and Ole’s Tavern give you that down home feel . . . no matter where you came from. Enjoy drink specials, live entertainment, and special themed party nights. 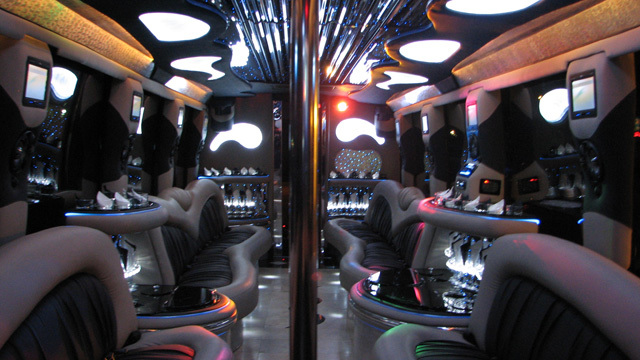 Start planning your night on the town with a White Rose party bus in San Clemente. Get to and from your excursion safely while our professional drivers worry about parking, navigation, and getting you back to your door.